Besides setting them apart from the competition, a business’s USP should separate them from the competition and closely align with their brand identity and vision in order to create brand recognition. The main objective for marketing teams is to help target audiences recognize and choose their brand through their USP message. In order to achieve this objective, businesses can focus on creating a prominent and uniform USP message across all online and offline marketing channels. A brand’s USP, logo, and slogan (if different than the USP) are the main identifiers they want the target audience to recognize. Essentially, a business’s USP can be used everywhere and anywhere their marketing efforts are directed, as long as the context makes sense. For example, if a social media bio already displays the USP, businesses should avoid placing it in every social media post, or if an email letterhead prominently displays the USP, then placing it in the email signature may be redundant. While the exact scenario and preferences will differ between marketing teams and businesses, the overall goal of creating a prominent and uniform USP message across all marketing channels is key. 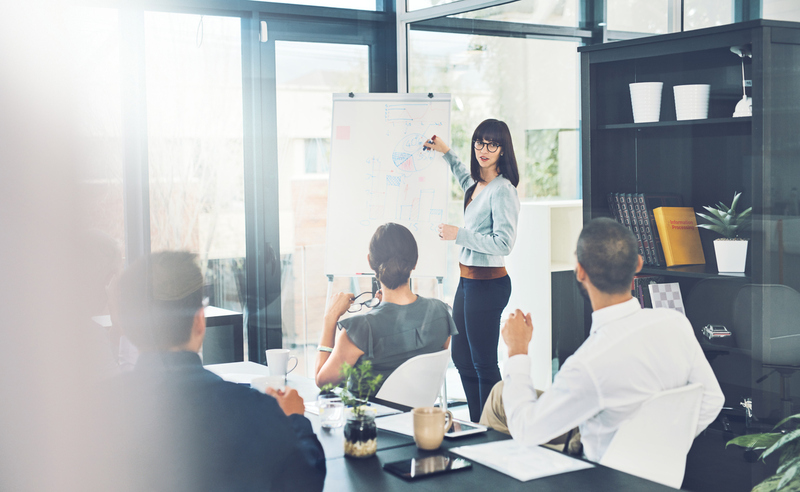 Ultimately, businesses want their target audiences to recognize their USP no matter where they connect. An effective USP not only helps define a business’s offerings and brand identity, in order to differentiate them from the competition and bring brand recognition with target audiences, it also works as an impetus for marketing ideas and content creation. While the specific marketing ideas and content will depend on the services and products being marketed, the key takeaway is that each business can use their USP as an impetus for creating these campaigns. This not only solidifies the USP message in the minds of the target audience but also helps generate ideas and content for marketing campaigns. Regardless of whether a business’s slogan, USP, and marketing message are the same or different, they’ll benefit by emphasizing the USP, as it explains why the target audience should choose them over their competition. This can be effectively done by incorporating the USP into a video explainer series and sharing it through multiple marketing channels over time. A video series centered around a business’s USP is an excellent way to drill down on why a business’s services and products are unique. This series could include a Company Explainer Video, Product Videos, Social Media Videos, Q&A Videos, and many more. A video series will help the target audience understand a business’s USP in more depth. For instance, if a manufacturing company’s USP is, “Our quality products are made from the USA,” they can create a series of explainer videos to explain how they work with domestic OEMs, their domestic production process, and why it’s beneficial to consumers. Whatever the scenario might be, creating a video series gives businesses prime marketing content for campaigns, as well as an opportunity to connect on a deeper level with target audiences. Another way businesses can emphasize their USP in marketing efforts is to incorporate it into their SEO practices; in particular, marketing teams can place USPs in meta descriptions so they’ll be visible in SERP snippets. 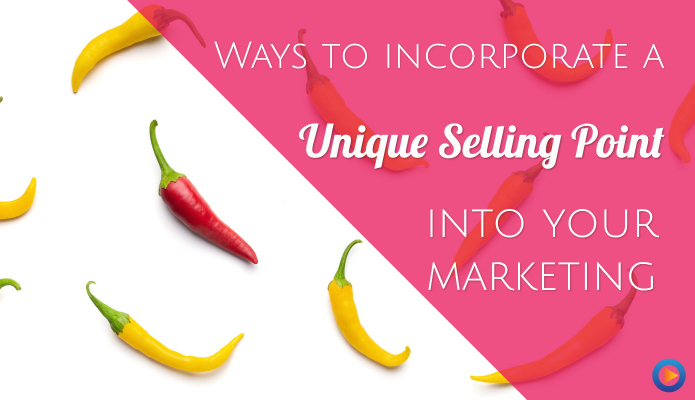 …most businesses do provide a unique selling proposition, many in more than just one way. Demonstrating that unique selling proposition on every single landing page is where the crux lies. …for most online businesses, the first impression of every single landing page is decisive. …Every single indexable page must be considered a potential landing page, and that’s why it must be continuously optimized to ensure that your listing will stand out in search results. Inserting a USP into SERP snippets and creating a USP with SEO in mind are both effective ways to incorporate this tool into marketing efforts. By doing some preliminary keyword research to find SEO optimized terms and phrases, businesses will create more effective USP messages, achieve better SERP rankings, and connect on a deeper level with target audiences. Every business is unique in some aspect, discovering and defining this uniqueness is manifested in their USP. Once a USP is defined and created (keeping in mind SEO tactics), businesses can start incorporating it into their holistic marketing efforts. By delivering a uniform, SEO optimized USP message across all marketing channels and using it as an impetus for creating ideas and content for marketing campaigns, businesses will effectively solidify their message with target audiences and differentiate themselves from the competition. One of the most effective ways to do this is by using video marketing. Considering how powerful a well-defined and used USP is for gaining marketing traction, businesses should consider partnering with a brand marketing service that has expertise and experience with both traditional and digital marketing methods – with an emphasis on video production and video marketing. If you’re interested in getting help developing your company’s USP, please contact us today.